Who can pass up a used vampire book for $1? Not me! Which is how I got my hands on volume one of Chibi Vampire by Yuna Kagesaki (hurray for used book finds!). Chibi Vampire is manga, meaning itâs a comic you read right to left instead of left to right. And this particular manga was totally worth the $1 I spent on it. 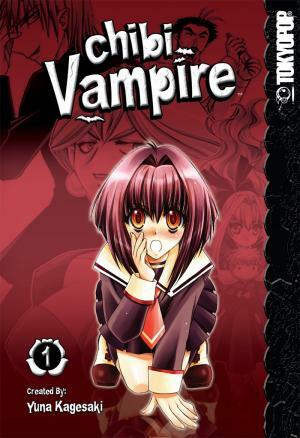 Chibi Vampire follows the misadventures of a cute young vampire named Karin. Karin, the middle child of an ancient vampire family, isnât like other vampires, she is a kind of vampire-in-reverse. Instead of simply feeding off victims, as her seductive older brother does, she must feed on humans and then donate blood otherwise she squirts it out of her nose. Karin is torn between wanting to be a normal girl and her vampiric nature, which is quite the embarrassment among vampires (especially her brutal mother). It sounds totally ridiculous, right? Thatâs because it is. Itâs silly and absolutely absurd. A vampire who loses all of her blood in a nose bleed after she feeds is just strange. But oh so entertaining. And thatâs what I like about this manga, the fact that it was entertaining and kept me smiling the entire time I was reading. Was it deep and thought-provoking? Nope! But it fun! Reading this was like sitting on the couch and watching cartoons all day. Other than the silliness, I liked that the vampires in this strange world have a taste preference. For example, Karinâs mom likeâs the taste of liars. I also like the side effects of a vampireâs feeding, what it does to the human (and what that is depends on the vampire). Overall, if youâre looking for a fun read that will make you smile, pick up a copy of Chibi Vampire.